1. Take the seeds out of the pomegranate. Be careful not to get them on your clothes as they can stain. 2. Cut off the ends of the celery stalks(right word?) and spread hummus on them. You can do this for however many stalks you want to eat and as much hummus as you like on your pieces of celery. 3. 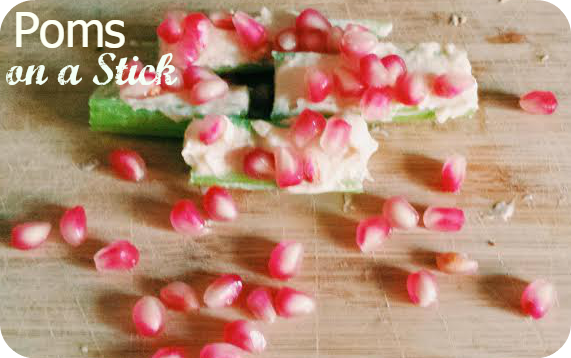 Pour the pomegranate seeds on the celery stalks. 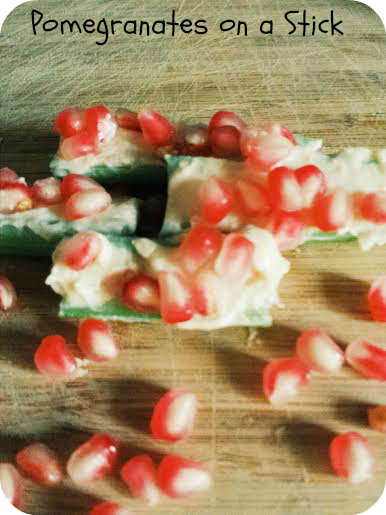 I think the key is to not overwhelm the celery with pomegranate seeds.